Yep, this will be extremely hard – and a lot of the factors are interrelated: A) The larger I build the legs, B) the heavier they will be, C) and the more support they will need when I connect them to the ship. No factor can be considered without weighing the others. Another issue is again scale, in most of the SDF-1 line art the legs are drawn shorter in cruiser mode and then longer after transformation. Obviously the line art has not been drawn to scale and unfortunately for me that is primary resource for this build. I would prefer to avoid another scenario where I build a section and discover it is not to scale (too short in this case) and thus forcing me to once again reconstruct. Only time will tell if I’ll be successful on my first attempt. Which angle to choose for the build? Also note the differences around the black stripe. The more I think about building this next section I think the word ‘hard’ is an understatement. The legs will most likely be the most difficult portion of the ship to build; if the legs are not built to the correct scale it will make the SDF-1 look unrealistic either in cruiser mode and/or after transformation. If the legs are too heavy I won’t be able to connect them soundly to the ship. 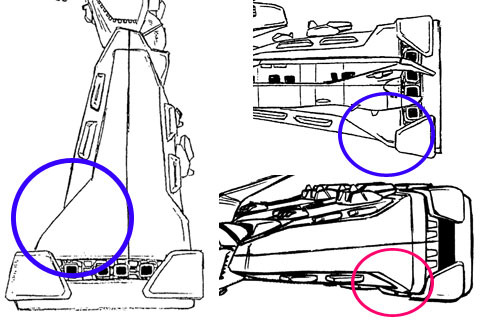 If the leg’s footprint is not large enough after transformation the ship will not be able to stand. Perhaps most critical, the legs extend out from the ship to give it more height, a feature I will need to duplicate. At this time I’m very unsure how I will replicate this critically vital feature in LEGO. Maybe I should have purchased a SDF-1 model or toy from eBay before I embarked on this ambitious build. Perhaps having a physical SDF-1 could answer some of these questions, but honestly I would rather spend that money on LEGOs for this project. 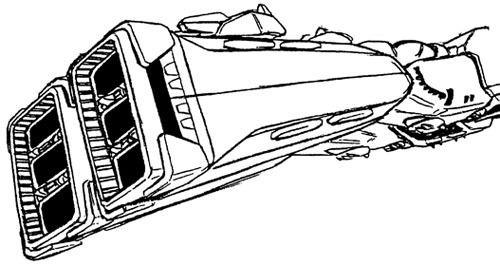 Most, if not all, Macross/Robotech fans have seen this line art a thousand and one times. 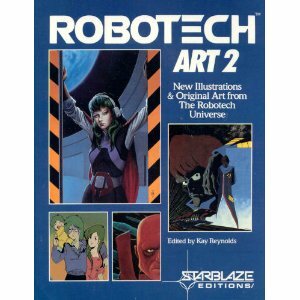 I first saw this artwork back in the early 90s when I purchased “Robotech Art 2.” The only downside to using online images is that most of the quality detailed ones are black and white line art which makes it hard to distinguish the exact color scheme (I’ll try to speak more on that later). However I have faith that these images will be just about enough, they have worked perfectly for me in the past. So far I have I placed 6 orders at various Bricklink stores and 3 have been delivered already. 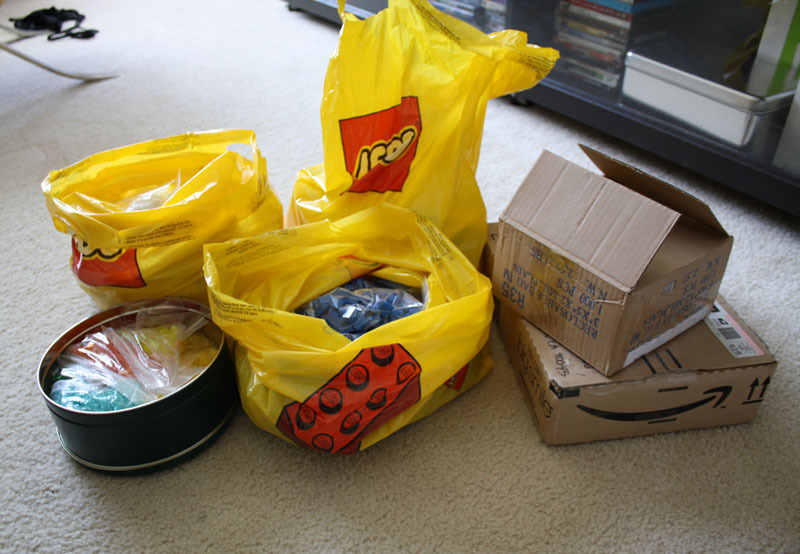 I have also made one trip to the LEGO Store, but I think it will be my last since I need so many specific pieces it would be best just to buy everything on Bricklink. The total cost so far has been around $400, I’m hoping that I have already purchased the majority of the pieces required and that the budget for this project won’t exceed $500 – time will tell. How do I know what bricks/plates/tiles/etc. to buy? I really don’t. Obviously I know I need an abundance of blue and white bricks and plates. So I just went ahead a brought a bunch of those. I also have tub full of a few hundred old miscellaneous pieces that I have been using to build miniature mock-ups of certain parts of the SDF-1. By playing around with those pieces I could tell I would need a number of tiles, slopes, inverted slopes, modified bricks, etc. However I would say 50% of my brick buying has been based on guesses. I examine the line-art and then browse through Bricklink. If I see pieces that resembles the line art, or pieces that I want to experiment with I buy them. I know at the end of this process I’ll probably end up with buckets of unused brand new pieces that just didn’t work out, but I rather have too many LEGO for this project as opposed to too little. 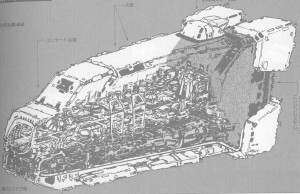 My building experience has only been building the original SDF-1 out of LEGO, but after admiring the numerous DYRL SDF-1 pictures available online my interest in constructing that version definitely piqued. 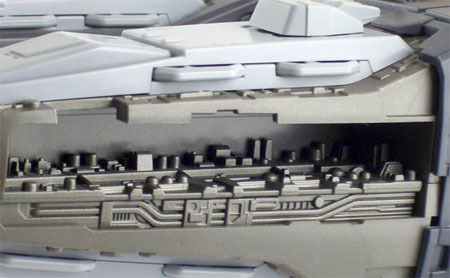 For the DYRL version though I would need a ton and a half of gray and dark gray bricks – as opposed to a ton and a half of blue and white bricks for the original SDF-1. Unfortunately, the economics of it all made the decisions for me. Checking Bricklink I recognized there was significant price difference and availability for gray bricks vs. white and blue bricks. 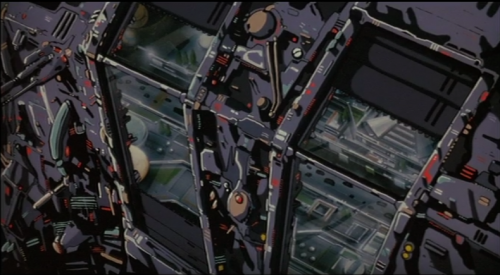 It appears it would be way cheaper for me to build the traditional Macross SDF-1. The traditional SDF-1 would also be a bit easier for me to build too since I have built that version in the past, but it is a little disappointing to not be taking on DYRL. Maybe if I have the time and extra finances later in the year I might consider taking on the more complex and challenging DYRL version. Above all though, I’ll wait to see how the Macross community reacts to my original SDF-1 version I’m preparing to build now.